Entertainment is the most important element to a successful event and should not be left to chance. The proper choosing is crucial for a fun and memorable party.. Our goal as DJs at KEG Orlando is to take the guess-work out of choosing entertainment. 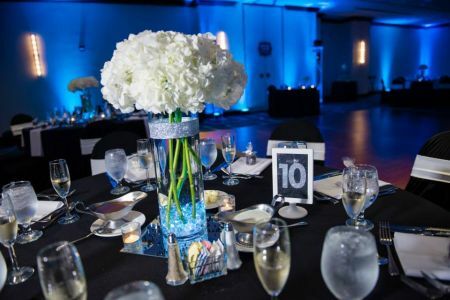 We provide the talent and experience necessary to help you in the planning and implementation process for your next event. We understand how they are ran. We use reliable, high-end, industry standard equipment, and we have the talent in our skills as both DJs and MCs to deliver. We are familiar with the proper attire, etiquette and professionalism needed to achieve the perfect party. We work diligently with each client in making sure we understand their wants and needs to provide the ideal outcome. Attention to detail is key in any event. Contracts, email correspondence, meetings and walk-throughs are necessary to insure this. This video showcases our typical set up. Lighting and Sound included. Below are additional services we offer with associated products. These services are laid out in the typical wedding format, but may be used for any event. 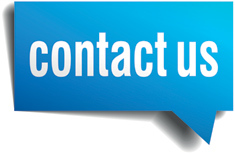 If you do not see a service you are looking for, please contact us so we can use a trusted vendor to fill that void. Remember, quality is important and should not be taken for granted! Complete Wedding Ceremony set up. 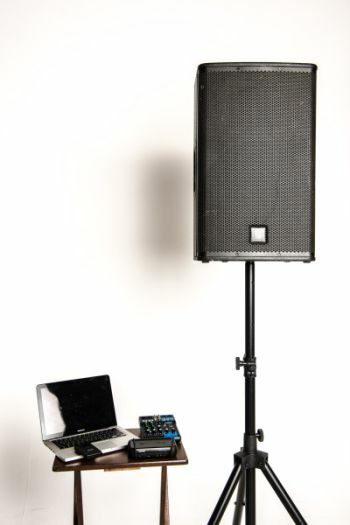 Includes a 15 inch ElectroVoice speaker, laptop for your custom music, and a hands-free, wireless Shure lapel microphone. 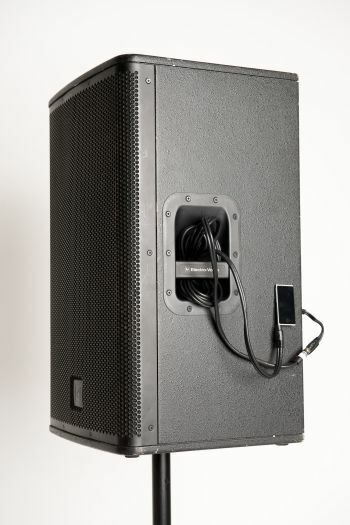 Great quality equipment with the ability to clean and change audio channels to ensure no microphone interruptions during your special ceremony. Complete Wedding Cocktail Hour set up. Includes a 12 or 15 inch ElectroVoice speaker and an iPod with your custom mix. Sufficient sound for any sized Cocktail Hour. Minimal space required, clear projection of audio, controlled volume. Solid choice for any Cocktail Hour. Uplighting can make or break a room. Wireless uplighting can add the look you are searching for, without the hassle or hazard of wires. Not only does it allow for easy placement, but also eliminates wires which can be dangerous to children, and a trip hazard for anyone. 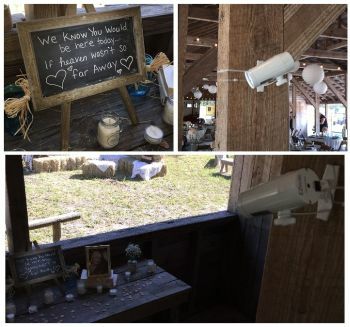 Considering the price, we place our wireless Uplighting as one of the higher cost to benefit additions anyone can add to their Wedding day. Minimal, yet highly effective. 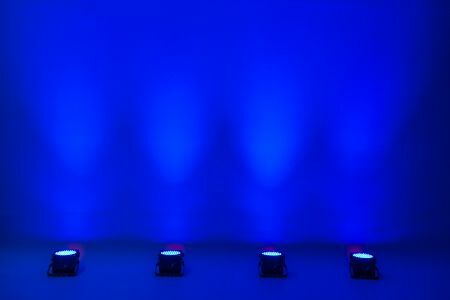 We use wireless Chauvet Freedom Par uplights that can be any color and placed in any spot. Inside or outside, trees or walls, it does not matter. A must have for any event. A Pin Spot on your cake can really make it stand out! Don’t tell the baker this, but we have had clients tell us the pin spot absolutely made the cake! We use Chauvet Wireless Pin Spots, which can be attached to a ceiling with its built in clamp, hang from metal using its built in magnet, or zip tied to any surface permitting, as this example was with wood. For a minimal expense, it really can transform any cake to an illuminated masterpiece. Ask us today about your options! Pin Spots can be used for more than just cakes. In this example, we illuminated a memory table. 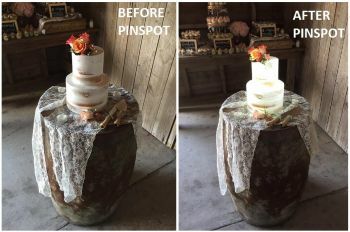 Pin Spots can also highlight other areas in your room as well, your table center piece for example. We can discuss potential areas, and even bring examples during a walk through. A quality Wireless Microphone system is essential in clear speaking with adequate volume. 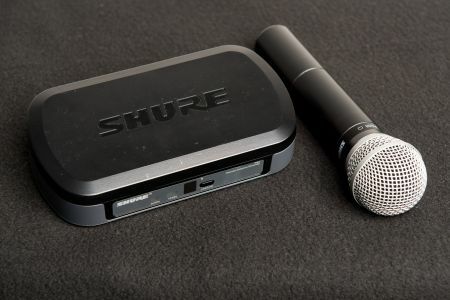 Shure Wireless Microphones are among some of the highest quality microphones on the market. Shure Wireless Microphones come with multiple channels, allowing us to automatically select the clearest channel available, to ensure no interruptions while important toasts, speeches or presentations are taking place. Don’t settle for wires or cheap imitations!